We see a lot of elaborate latte art in Seattle, but this one was photo-worthy even for me! port canaveral cruises deals on April 20, 2012 at 8:34 a.m.
Shelly on April 20, 2012 at 9:01 a.m.
Ryan M. on April 20, 2012 at 1:10 p.m.
Makes me wish I was a coffee drinker! Ryan Keller on April 23, 2012 at 1:35 p.m.
Have you or any readers been on the Beyond The Game travel trip to the Dominican Republic? Was thinking of going this May but looking for some input. 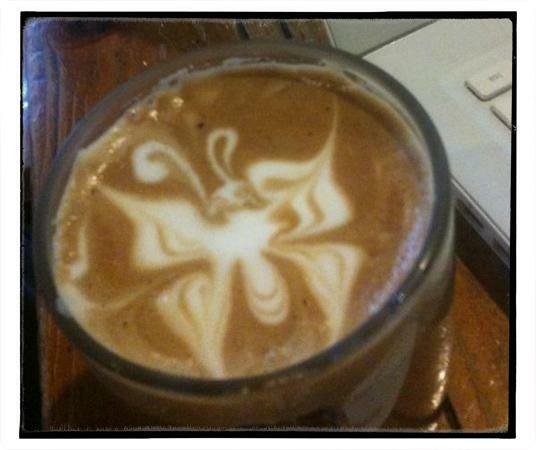 Kristina on April 27, 2012 at 5:29 a.m.
Ville on May 3, 2012 at 3:14 a.m.
Latte art is beautiful. I just wonder do you feel bad when you drink that latte, because you basically destroy beautiful piece of art. Vi on May 3, 2012 at 5:05 a.m.